Drill Sergeant, we mean manager Steve Grocott gives us insight into his team and the O-35 changing landscape. BDSL: Today we're talking to Steve Grocott the manager of O-35 side West United. Could you tell us maybe the origins of your side Steve and how your roll as manager came to be? WUFC: Sure Mike. First, I just want to thank the BDSL for your increased inclusion and overall interest in the O35 league. I know that the teams appreciate it, and I especially know that my team, West United, love the tweets regarding players of the week and stats. West United started in 1994, as a part of the West Seneca league. At that time, and up until last year, the team was known as WS United. 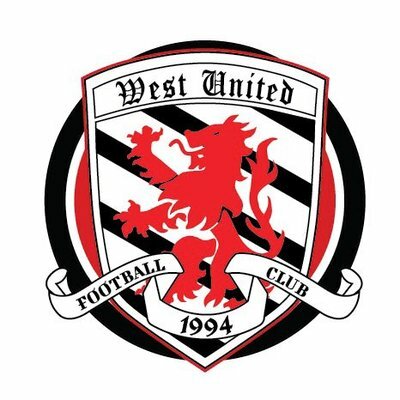 Given the growth of the team and picking up players from all over the WNY area, we chose to change the team name to West United. I joined the league, with some repeated coxing from my fellow Fredonia Soccer Alum, Brad Clancy, in 2013, after taking a 16-year hiatus from playing. After several seasons, some serious post-game beer drinking and strategic soccer discussions with my co-manager Rick Couell, and assistant, Jon Carter, it was decided that Rick wanted to focus more on playing. I agreed to step-up and take over the day to day managerial duties, including building the roster, creating line-up and designing our modified 4-1-4-1 formation. While it’s a lot of work, I have a great group of guys that help in addition to Rick and Jon, such as Adam Carl and Shawn Clancy who have assisted with off-season field rentals, uniform selection, crest design, etc. I try my best not to be a dictator, I can be at times, and make team decisions with the input of all the guys. For example, we had a sock issue that came up over the continued use of our trademark red socks, and we put it to a vote. I ultimately got the decision I was hoping for, red of course, and despite claims that I was holding playing time over a vote for red socks, I think the process went well. BDSL: Hey you do what you have to, to look good on the field. Seems like managing is something you certainly enjoy doing. What makes that appealing to you? There is a lot of work certainly with it but why be the guy volunteering for that? WUFC: Mike, looking good translates to playing good - right! As to becoming a manager, the guys on the team will tell you, as well as my wife, that I am a bit of a control freak. I love managing! I believed the team had a lot of potential and needed someone that was willing to devote a lot of time to its growth and development, and as you know, it takes a lot of time to manage a team. I also wanted to put my footprint on the club, and see if we could ride to the top of the table with some changes in the team formation and roster. Cutting guys is never easy, especially when the goal of our team is to not only be highly competitive, but also have a group of guys that truly enjoy hanging out after games. I wanted a group that felt like family, but also play quality soccer and win games. And I think over the last two years we’ve done that. I also think with our recent success, we have caused the other teams, Blue Stars especially, to really step up the quality of players and play. As to being willing to be that guy that steps up to manager, like I said, I love managing, I don’t mind the work and control is in my personality. And when it’s something you love, soccer and managing, you don’t mind the work. And I am over the top about it – to the point of obsession. I send out team emails before and after every game to discuss strategy, areas of improvement, good plays and bad plays, and different line-up and formations we may use from one game to the next. And I wouldn’t be able to do what I do, if the guys on the team weren’t such a good group and if I didn’t have some help, like I said before, from a number of key players who have taken over some important managerial roles. BDSL: I like how you mentation that you believe your teams approach has encouraged others in the division to follow suit. Do you get the sense that more teams are building towards a larger presence? Certainly have to say that the presence of the division is growing. WUFC: I absolutely think the teams in the division are building toward a larger presence. Since I joined the league in 2013, we went from 6 teams to 7 teams. While you may initially think that's not growth, it really is. Many of the guys that are old enough to play in the O35 division and still play on Sundays don't really know much about us. They don't have a clue as to how competitive it is, nor do they know that the quality of play is as high as it is. We may be over 35, but we still play great soccer. Two years ago we grabbed a few guys that played Sundays and they were shocked out how good the soccer was. This year more teams have added younger talent (fresh newly over 35 players) and it’s going to really increase presence and quality. I like to think West United really opened the door to that, especially with our second year entry into the Wood Cup. We had a dismissal loss last year in our first Wood Cup against Cheektowaga (1-0) and this year we are matched up against new comers NY Elite, whom we tied against in indoors. Notable, they only tied us and lost against Polonia, but otherwise went undefeated and beat teams pretty handily. I think our entry into the Wood Cup shows teams what our division has to offer skill wise and my hope is it brings more teams on board. As we continue to throw ourselves out there, compete at our highest level, the presence will continue to grow. BDSL: Does the smaller size of O-35 make for bigger rivalries? Seeing teams more then once must certainly build some storylines in season? WUFC: I definitely think the fact that we have 7 teams makes for bigger rivalries, and good friendships between the clubs as well. For us, we have 3 big rivalries – Blue Stars, Azzurri and Aliens. Not to say we don’t have the same feelings when we play CS Italia or Oranje, (Aztecas is in their first year), but we really seem to have a back and forth with the other 3 teams. And while we have some really strong rivalries, we have had the opportunity to really get to know the guys from other teams, which makes for a great division to play in. And when you play a home and away against each team, the rivalry can really build to a fury when we are all trying to get to, or stay at, the top of the table. BDSL: Last year your side managed to capture the regular season title but fell just short of the double with PK loss in the O-35 championship game. Does that result sour what was an impressive season otherwise? Surely your team is relishing the chance to amend the end to last season. WUFC: That championship loss to Azzurri was painful! We had chances to finish them off in regular time, but we just couldn’t do it. We had a stellar season, everything fell into alignment and we really played well. Guys came in last season excited to play and ready to go. Prior years we didn’t have the same dedication and commitment, but last year we did. While we were disappointed with the loss, I don’t think a single guy on the team felt that it soured the great season we had. In fact, it provided wonderful motivation to work hard all “off season.” The guys really cranked it in the offseason – everyone worked on their touch and fitness, and I can honestly say our team is coming into this season with better fitness and fine-tuned skills than we ever had. However, as I said before, the rivalries and our step up last year has caused all the teams to really work hard on the “off-season” and they are definitely gunning for us. I don’t know if we can replicate last season, but we sure are going to try. Competition and skill level from all teams is going to be incredible this year!! BDSL: I ask this of a lot of teams but I think your answer I might find most interesting. Would you rather win the O-35 title or the Wood Cup? WUFC: Well we want to win them both - but if forced to choose one, I think the guys and I would say Wood Cup!!! While we play in the O35, it would be insane bragging rights to win the Wood Cup. And I think the team would love to show that we could hang with the young teams out there. It would also create some serious street cred for us and the other O35 teams. BDSL: What sort of changes would you like to see made to the league either in O-35, Sunday or otherwise? WUFC: Honestly, I think you guys have done a great job running the league. Certainly, and for my own selfish reasons, I’d love more exposure for the O35 division, and I think over the last year you have increased that exposure, but we would welcome even more. It’s been great that you have included us in the player of the week on twitter and tracking stats, but I truly would like more guys in the Sunday divisions to know about our existence and what a great division it is for players nearing the end of the careers, chasing after guys 10, 15 or even 20 years younger than them. Otherwise, again, I think the league has done a great job running things! BDSL: Anything else here that we didn’t cover that you'd like to add in? WUFC: I really think we covered it. I just want to give a shout to all my teammates and tell them how proud of them I am. All the work they put in last year paid off with winning the league, although we lost the championship - ugh! This off season they really stepped it up playing two indoor sessions and renting fields weekly for training/practice sessions in anticipation of the 2018 season. The guys are totally committed and I couldn't be happy with them! We wish all the teams a great seasons!